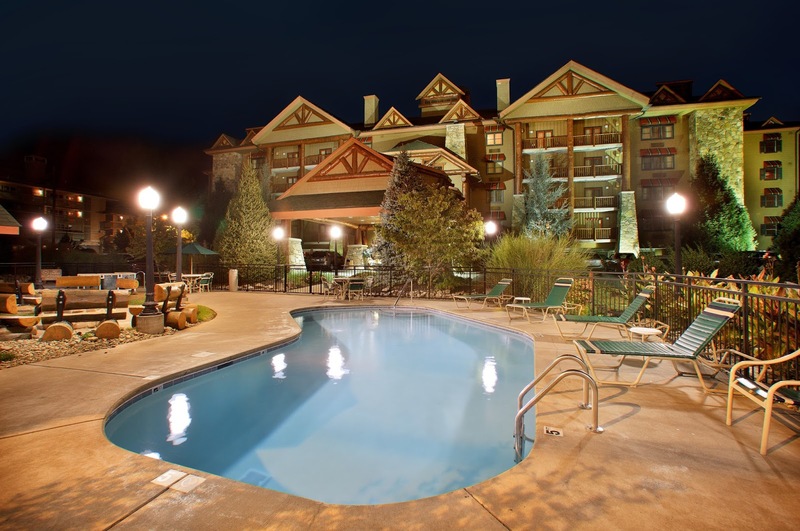 Smoky Mountains Lodging Guide: RELAX IN STYLE AT THE BEARSKIN LODGE IN DOWNTOWN GATLINBURG! RELAX IN STYLE AT THE BEARSKIN LODGE IN DOWNTOWN GATLINBURG! When you are visiting Gatlinburg and are looking for comfortable rooms, fabulous amenities and nearby attractions, then look no further than the Bearskin Lodge On The River in downtown Gatlinburg, Tennessee. The Bearskin Lodge offers all of the amenities of an upscale hotel, but with the feel and decor of a mountain cabin. Amenities include and Outdoor Heated Pool and a Lazy River, Outdoor Fire Pits, Fitness Room, Continental Breakfast, Free Guest Parking and Wi-Fi and well-lighted Interior Corridors. The Bearskin Lodge is a short walk to the attractions, restaurants and downtown shopping, and is also on the Trolley Route. The Lodge also offers attraction discount coupons. The Bearskin Lodge offers you a choice of comfortable King, Queen or two Queen sized beds, Suites and rooms with whirlpool tubs, gas fireplaces and balconies overlooking a mountain stream! 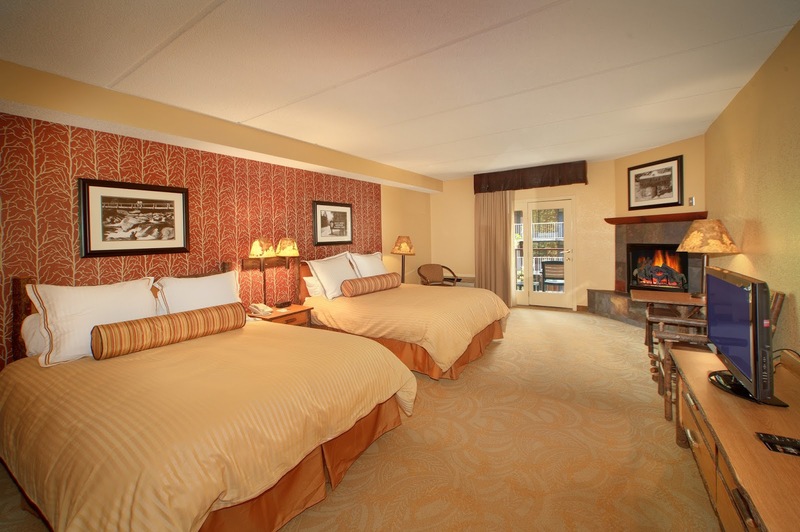 All rooms are non-smoking and handicap-accessible rooms are also available. 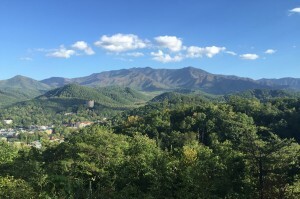 You are surrounded by mountain charm at the Bearskin Lodge, but the downtown and the entrance to the great Smoky Mountains National Park are just minutes away from your door. There are several park trails within walking distance and the downtown opens up at the top of the hill. There you will find restaurants, unique shopping, museums, Ripley's attractions, and caramel corn, ice cream, candy and souvenir shops to keep you entertained as you explore the main street of Gatlinburg. And if you want to go farther, take the Trolley! You can even take a Trolley into Pigeon Forge and the National Park! 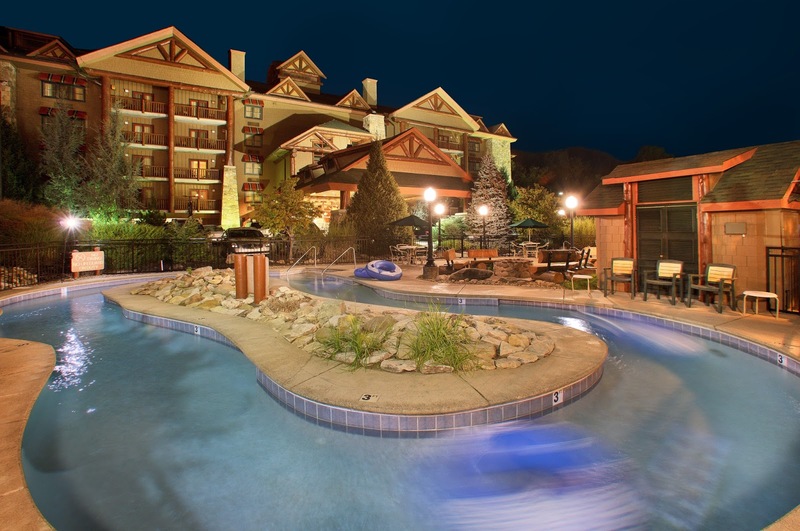 Enjoy the best that nature has to offer at the Bearskin Lodge On The river in Gatlinburg. You will experience all of the charm of a mountain lodge, but with all of the modern amenities that you expect in a top quality lodge, all conveniently located on a mountain stream next to the Great Smoky Mountains National Park. Click the following link for more information and coupons: http://www.smokymountainslodgingguide.com/Gatlinburg/18912.